Questions have been floating around about the cost of Crown Princess Mary's new jewels, which were purchased at Bruun Rasmussen in 2012. The auction house's records reveal the final prices of each piece. 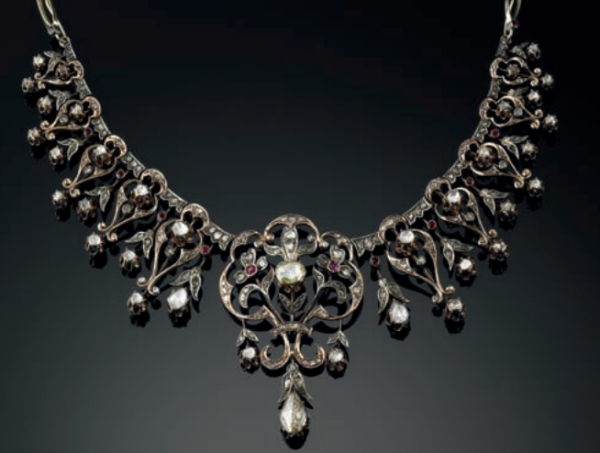 Mary's Edwardian necklace/tiara and earrings were sold as a set (Lot #289). The pre-sale estimate for the suite of jewels was 4,000-5,350 euros (about $4500-$6000 USD at today's exchange rate). The suite sold for about double the initial estimate, bringing 8,050 euros (about $9100 USD today). 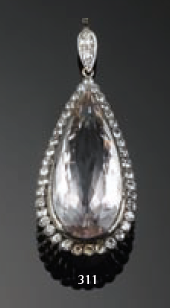 The diamond and morganite pendant was sold at the same auction (Lot #311). The pendant was estimated to sell for about 535 euros (about $600 USD today). The final sale price of the piece also easily bested the estimate, selling for 1,350 euros (about $1500 USD today).